Avengers: Infinity War ended by leaving all fans shattered. Following the apparent death of nearly half of the Avengers, everyone was left wondering how the next film in the franchise, the still untitled Avengers 4, would unfold. Given that all the answers are held within the upcoming film, there is a lot of secrecy surrounding it. However, now, we have at least one official confirmation about the film: a deceased Marvel Cinematic Universe villain will briefly return in Avengers 4 –Frank Grillo’s Brock Rumlow, aka Crossbones. Therefore, there are no resurrections involved for the character, who perished in Captain America: Civil War after Scarlet Witch contained the blast of his bomb to himself only. Grillo first teased that Crossbones would return to the MCU in some capacity back in September 2017, but the actor hadn’t revealed more details than that. Now, we know that his return will feature in Avengers 4, and through the use of flashbacks. Of course, given all the mystery and clues surrounding the final Avengers film, one of the prevailing theories is that the movie will feature some form of time travel. Grillo’s confirmation that Crossbones will return via flashback could therefore be interpreted as more fuel to that particular fire. Brock Rumlow first appeared in Captain America: The Winter Soldier as a member of Captain America’s secret S.T.R.I.K.E. team. However, the character was later revealed to be a Hydra sleeper agent, and he would later return in Civil War with a plot that would incite the Sokovia Accords dispute. The opening of Civil War teased that Steve Rogers’ New Avengers had been after Crossbones for a while, so perhaps this new flashback will shed some light on what the villain was up to in-between the two films. Joe and Anthony Russo's Avengers 4 is already in the can, but we've just now recieved word on a previously unannounced cast member. According to The Wrap, Golden Globe-nominated actress Katherine Langford will have a role in the Marvel sequel. Though the 22-year-old 13 Reasons Why breakout has shot all of her scenes, no details on which character she'll be playing are available at this time. We found out earlier today that the first trailer for the Infinity War follow-up will definitely be with us before year's end, so perhaps we'll get a better idea of who Langford is playing then. In the meantime, be sure to speculate away in the usual place. Avengers 4 is set to hit theaters next May. Possible HAWKEYE Solo Project Update - Will Clint Barton Train Kate Bishop As His Replacement? A rumor did the rounds recently which claimed that a Hawkeye solo project was being discussed at Marvel Studios, & now we have a very interesting update from the same source. Find out more after the jump. A couple of months back, a rumor did the rounds about a possible standalone Hawkeye project - we're not sure if it was a movie or something for Disney's new streaming service - being discussed at Marvel, and now we have an update. According to MCU Cosmic, the project is now in active development although things are still in the very early stages. Apparently, the story will borrow elements from Matt Fraction and David Aja’s acclaimed comic series, which saw Clint Barton train a new archer to potentially take up the Hawkeye mantle. On the heels of yesterday's news that 13 Reasons Why actress Katherine Langford has filmed scenes for Avengers 4, this is bound to fuel speculation that she'll be playing Kate Bishop - but that's just one possibility. So, how much stock should we put in this? Well, the source has had some scoops that panned out in the past (as well as some that didn't), but you should obviously take the report with the requisite grain of salt until we find out more. In the meantime, be sure to share your thoughts down below. Right, final warning: if you don't want to read Avengers 4 spoilers, then stop reading now! Still with us? Well, earlier this week, you may recall Frank Grillo confirming that Crossbones will be making an appearance in the movie via a "flashback" and now executive producer Michael Grillo (no relation as far as we know) has dropped another bombshell. During an appearance at the Austin Film Festival, he was asked about the Avengers: Infinity War sequel's manic shooting schedule and confirmed that we will see the return of The Ancient One, a character who was killed off in 2016's Doctor Strange. "When we got Tilda Swinton, she was just a 1-day availability," he told those in attendance. With rumours swirling about Avengers 4 featuring flashbacks, time-travel, or both, it makes sense that the former Sorcerer Supreme will be making some sort of appearance and there are any number of roles she could end up playing in this sure to be epic adventure. Given her knowledge of the Infinity Stones and connections to both Stephen Strange and the Dark Dimension, fans are bound to have plenty of theories about where she could fit into proceedings. What do you guys think? As always, share your thoughts on that in the comments section below. This theory is essentially an explanation of how and why things have happened in the MCU the way they did. It attempts to explain why Fury did things like recruit Tony Stark first and gave him his father's box of secrets in Iron Man 2, as well as why he waited until the last minute to call in Captain Marvel. Theoretically, it was al part of a grand design to eventually defeat Thanos. A new Amazon listing for an Avengers 4 artbook seems to have doubled down on a synopsis in use for the film. The Road to Avengers 4 Marvel Cinematic Universe artbook seems to be a release in the same style as The Road to Avengers: Infinity War that was released at about the same time as Avengers: Infinity War hit theaters. 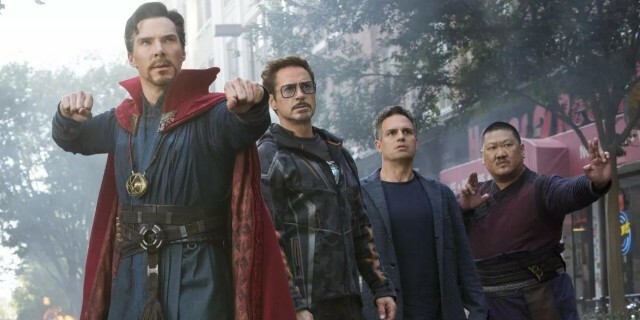 The book offers a behind-the-scenes look with interviews, photos and concept artwork, and we expect the name will be changed to reflect the true Avengers 4 title once it is revealed to the public. That synopsis is pretty vague and we will likely get a more specific one as Avengers 4 draws closer to release, but its partial use on The Road to Avengers 4 description suggests that is is being used by Marvel in some capacity. Trying to read between, fans may find “turning point” to be a key phrase, suggesting a possible new direction for the Marvel Cinematic Universe after Avengers 4 as new heroes step up to replace the original Avengers. The “fragile reality” line feels loaded, possibly hinting at time travel or multiple realities, and “sacrifices” suggest that, as many suspect, some of the Avengers aren’t going to make out it out of this battle alive. At this point, we know about as for sure as Avengers 4 star Karen Gillan, which doesn't seem to be much. We'll just have to wait for the Avengers 4 trailer, which will be released later this year. What do you think of the Avengers 4 synopsis? Let us know in the comments! We have no idea what Avengers 4 will be called or when the first trailer is coming, but we do know at least two things about the film. First, most of the dead Avengers will be resurrected right alongside everyone else who died at the snap. Second, there will be time travel involved in the story. Whatever Tony Stark and Co. are up to, traveling through time is probably the only way to make their plan work. Speaking of Stark, the following rumor puts an exciting spin on the kind of time travel we’ll see in Avengers 4, and what it might all mean to Iron Man. Just the other day, we saw a heartbreaking fan theory that said Tony would actually know about the hit on his parents and might even help plan and execute it. That’s because the various events that happened before Thanos snapped his fingers have to keep repeating in the same order for the Avengers to win in the end, no matter what personal cost it may entail in the end. That was just a fan theory, but the following rumor comes with its own dose of heartache. A few days ago, we learned that Kathrine Langford was confirmed to appear in Avengers 4 next year. You may know her from Netflix’s series 13 Reasons Why, or the Love, Simon flick that premiered earlier this year, but this is the first time the actress will star in an Avengers film. According to an MCU Cosmic source, Langford might be playing the grown daughter of Tony Stark and Pepper Potts. MCU Cosmic also made waves a few weeks ago when it revealed that Annihilation might be the title of the Infinity War sequel. We already have fan theories that say Pepper was pregnant when Tony flew off to Titan to face Thanos, and Gwyneth Paltrow already confirmed that Tony and Pepper will have a baby. But if Langford does indeed play Tony’s daughter, then Tony might have to make an incredibly difficult choice between saving the current timeline, where his daughter is born, or undoing everything Thanos did and risk not having his daughter in the first place. This kind of personal drama for Tony would explain Doctor Strange’s apologetic tone when telling Tony that there was no other way of fixing things at the end of Infinity War. Also, let’s remember that Pepper will suit up as Rescue in the movie, and there’s no better reason to go to war against a fierce enemy than fighting for your kinds. If this rumor is accurate, it’ll certainly be interesting to see how Tony gets to meet his daughter. Even if her character is not a Stark/Potts combo, Langford is already credited for the movie without any name for the character. A throwaway line from Thor: The Dark World may hold a major clue to Avengers 4, and the inclusion of the Quantum Realm. Director Alan Taylor's 2013 sequel gets a pretty bad rap in the Marvel Cinematic Universe, but it nevertheless involves key elements to the future of the franchise, such as Loki taking the Asgardian throne and the introduction of the Reality Stone. It now looks as if The Dark World may have put the pieces in place for the defeat of Thanos in Avengers 4. Others have already noted that the Soul Forge gives off an orange glow similar to the light of the Soul Stone itself; this same visual was seen surrounding Scott Lang in the Quantum Realm when Thanos snapped half of reality out of existence. 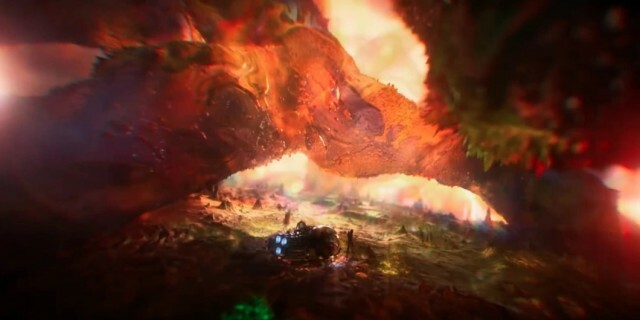 It all ties together that the orange glow in the Quantum Realm could literally represent the trapped souls of Thanos' victims, and seemingly adds further evidence to Ant-Man being crucial in returning the fallen heroes. Paul Rudd's Scott Lang is trapped in the Quantum Realm following the mid-credits scene of Ant-Man and The Wasp, but it's known he'll have expanded role in Avengers 4. There are multiple theories about how the alternate dimension could come into play in the sequel, and the importance of the Quantum Realm has already been teased by Tom Holland and Michael Douglas. Unfortunately, Asgard was destroyed in Thor: Ragnarok. That said, Thor remains alive following the events of Avengers: Infinity War, and could work with the brilliant minds of Bruce Banner and Tony Stark to harness the power of the Quantum Realm. Although this theory is a million miles away from the various ideas that the Quantum Realm will help the Avengers travel back in time to get the Infinity Stones before Thanos, it's entirely possible that both ideas come into play. As will all these Quantum Realm/Soul Stone theories, audiences will have to wait until May 2019 before they'll understand what is really going on. Until then, it's back to rewatching the MCU to try and pick up any clues to how Thanos can be defeated. The untitled sequel to Avengers: Infinity War will release on May 3, 2019. Directed by Joe and Anthony Russo, Marvel’s Avengers 4 stars Robert Downey Jr., Josh Brolin, Mark Ruffalo, Tom Hiddleston, Chris Evans, Chris Hemsworth, Jeremy Renner, Chris Pratt, Elizabeth Olsen, Sebastian Stan, Benedict Cumberbatch, Paul Bettany, Samuel L. Jackson, Cobie Smulders, Benedict Wong, Zoe Saldana, Karen Gillan, Vin Diesel, Dave Bautista, Pom Klementieff, Scarlett Johansson, Tom Holland, and Anthony Mackie. Marvel’s Kevin Feige confirmed a few days ago that the first Avengers 4 trailer is coming by the end of the year, although the exec didn’t reveal any other details about it at the time. Now a new leak now provides additional information about the trailer’s release date and the film’s title. It’s been widely speculated that the first Avengers 4trailer will drop by the end of November, as was the case with the first Infinity War trailer last year. But a new report from MCU Cosmic, the same source that first told us Annihilation is going to be the title of the fourth Avengers episode, is now back with various tidbits about the trailer. The “minor” details come from international trailer sources who have been “very reliable with the more technical side of trailer information in the past.” These sources said the trailer will premiere at some point during the month of November and that the title of the film will indeed be Avengers: Annihilation. They also revealed details about the music for the trailer. The backing music for the trailer is apparently a brand-new track by Twelve Titans Music, who have done trailer music for many big trailers such as The Hobbit movies. It’ll be a new remixed variation of their “Dust and Light” track titled ‘Nevermore.’ It’s quite epic. As a reminder, the script for first trailer was supposedly leaked on Reddit a few weeks ago, offering very believable dialog from a source that has been accurate in the past. Marvel is going to have a hard time marketing the film given the massive cliffhanger at the end of Infinity War, which is why that particular leak makes plenty of sense. Is the title of Avengers 4 actually Avengers: Annihilation? When Marvel first announced their Phase 3 slate, Avengers: Infinity War was envisioned as a two-part movie. That slate changed a lot over the years, especially in light of Marvel's deal with Sony to bring Spider-Man into the MCU. One of the most interesting changes, though, was the decision to give Infinity War - Part II a different title. Surprisingly, Marvel then refused to reveal the new name for Avengers 4, with Kevin Feige claiming it would spoil Avengers: Infinity War. Naturally, this has led to intense speculation among fans as to just what the title could be, especially following Avengers: Infinity War's cliffhanger ending. Given the marketing campaign for Avengers 4 is sure to kick off soon, it can't be long before that title is officially confirmed. At the beginning of October, there were rumors the title could be Avengers: Annihilation. These were initially treated with more than a little skepticism, but as time has passed there have been growing rumors that this may be right. Here, we'll run through all the evidence. The title of Avengers: Annihilation was first guessed by CBR back in April. They suggested that the title could be lifted from a popular comic book event from 2006, in large part because the villain of that arc - Annihilus - was driven by a desire for universal balance. His motives are fairly similar to those of the MCU version of Thanos. As circumstantial evidence, they pointed out that from March 2018 Marvel Comics began to republish the Annihilation event. There is a precedent for the comic book publisher to make sure trades of a story are out in the year or so before a story is adapted for the big screen. That title guess was largely forgotten for months, though, lost in the chatter online following Avengers: Infinity War. It resurfaced again in October when MCUCosmic reported that sources had claimed the title was Avengers: Annihilation. This was allegedly verified by multiple sources; it was also suggested that Mark Ruffalo's joke-spoiler on Jimmy Fallon was a troll from Marvel about the leak to draw attention away from Annihilation. There is some supporting evidence for this rumor. The first is a cryptic photo released by the Russo brothers accompanied with a simple comment: "look hard." Given the Russos appear to be quite enjoying stoking the rumor mill for the title, this was generally assumed to be a clue, and attentive fans combed over it. The most obvious detail was the double-A, which some suggested could mean the film was called Avengers: Assemble. That was deemed unlikely, given that was the title the first Avengers film released to in the United Kingdom, and attention moved elsewhere. But, in light of the rumors, that double-A really stood for Avengers: Annihilation. This idea does seem rather odd, though. Even Marvel insiders who know the title, such as co-president Louis D'Esposito, have admitted they don't quite understand what that image is supposed to mean. That would be unlikely if the meaning of the image was as simple as a double-A. Still, it is possible D'Esposito was just joining in with the trolling of fans. The cliffhanger ending of Avengers: Infinity War saw Thanos emerge triumphant, erasing half the life in the universe with just a snap of his fingers. Although it's generally believed there'll be a time-jump between the events of Avengers: Infinity War and Avengers 4, the sequel is expected to continue that story and reveal just how the surviving Avengers either undo or avert the snap. In April last year, Kevin Feige suggested that a major reason for withholding the new title of Avengers 4 was the fact that it would spoil Infinity War. In March, shortly before Infinity War's release, the Russo brothers confirmed that fans should be worried about how Infinity War would play out in light of Marvel's reluctance to reveal Avengers 4's title. This fits with a title like Annihilation, which would almost certainly have led to speculation online that Thanos would emerge triumphant. However, though, this would also be true with many of the other main contenders, such as Avengers: Endgame. What makes End Game an unlikely Avengers 4 title is that it was spoken in Avengers: Infinity War. Speaking just after the first part's release, Joe Russo said that the 2019's film title was not spoken in its direct predecessor, which rules out the likes of End Game and No Time At All. What it maintains is Annihilation; that word isn't spoken once in the two-and-a-half hour movie, which would make it eligible to include (although has popped up in previous MCU efforts). As for what the title could be, Anthony Russo's subsequent comments also line up with Annihilation: "It’s certainly grounded in the narrative that we have been following throughout the MCU – very well grounded…"
While most of the official title discussion for Avengers 4 has been focused on what it won't, there has been some positive confirmation. One of the most popular titles straight after Infinity War was Avengers: Forever (due to its time travel plot and "4ever" styling), and while the Russos shot it down, they said that - at the time - it was the closest anybody had gotten. "Annihilation" isn't exactly a synonym for "Forever", but it is a similarly grandiose term of near infinite scale, so fits better than most of the other options. One thing most Marvel Studios movie titles have in common is that they're based on a comic book: The Winter Soldier, Age of Ultron, Civil War, Ragnarok, and even Infinity War were all major comic events before they became blockbuster films. This tradition persists despite most of these having very little in common with the stories on which they're based - Captain America: Civil War saw Iron Man and Cap fight, but most of the surrounding narrative was changed, while Avengers: Infinity War itself was a mix of several stories and original ideas. So, while Marvel movies are slowly moving further and further away from their comic source, they still tend to nod in that direction with their titles. As already established, Annihilation was a comic arc from the 2000s, so while we may not be seeing Annihilus in the MCU (yet), the precedent is there for his big event t0 be used. The most recent evidence is a rumor from the Russian social media site vk.com. It showed apparent concept art of Iron Man using his proton cannon, and alleged that the first trailer for Avengers: Annihilation would be released in November, scored by a new rendition of Twelve Titans Music's song "Dust and Light" (which was used in The Hobbit: The Battle of the Five Armies trailer). This makes sense - the November trailer drop is in line with Marvel's normal marketing approach - but it's unclear exactly what information was presented to the trailer group who posted this leak. They could easily have just been told when the trailer would drop, and added all the hashtags related to the film; that would have included #Annihilation. By now, there's a lot of circumstantial evidence backing the suggestion that Avengers 4's title is Annihilation. However, while that prospective title has definitely become the front-runner, it's yet to be officially confirmed - and a lot of the evidence is very much open to interpretation. All that means the Annihilation title is still firmly in the rumor category. What we can say with some certainty, though, is that the truth will come out soon, most probably with the Avengers 4 trailer drop at the end of the month. We’ve been talking about that Infinity War cliffhanger for quite a while now, as we keep discovering more and more evidence that suggests Avengers 4 will undo the snap, reviving everyone who died in the previous film — including most of our favorite Marvel characters. And every time we talk about these hero resurrections, time travel inevitably comes up as the only plausible way for the Avengers to fix things. If you’re still unsure whether time travel will be involved in the next Avengers movie, then we’ve got the best evidence for you showing that’s how things will go down. You see, a dead Marvel hero is apparently making an appearance in Avengers 4, but resurrection seems like it can’t be in store for this one. A report a few days ago said the Infinity War sequel would feature none other than Tilda Swinton, who played The Ancient One in Doctor Strange. She was the former top magician in charge of defending Earth and Strange’s mentor, and she died during the first Doctor Strange movie, dropping a massive clue at the time about things to come in the Avengers film. We already talked about that scene where The Ancient One died because it’s relevant to how Doctor Strange dies in Infinity War. The Ancient One said that no matter what path she used to get to that particular moment, she never saw the future beyond it, which meant she would die. Because Doctor Strange saw more than one version of the future in which the Avengers win, it’s clear that his death isn’t permanent. Why is The Ancient One returning to the Avengers universe? It’s too early to tell, but she likely won’t be brought back to life. Instead, it seems more likely for Strange to meet her seeking some sort of counsel following the events of Infinity War. And whenever The Ancient One appears, it has to be in the past that precedes her death in Doctor Strange. There’s always a chance that The Ancient One will star in some sort of flashback or dream that doesn’t involve actual time travel. Or that she’ll meet Strange in the place where souls go after death. We know that Swinton is in the movie thanks to a comment from executive producer Michael Grillo, who appeared at a panel at the Austin Film Festival alongside Avengers screenwriters Christopher Markus and Stephen McFeely. Grillo said that “when we got Tilda Swinton, she was just a 1-day availability,” SuperBroMovies reports. Grillo did not reveal any other details about The Ancient One, but the panelists said there was a scene in the film “that took 14 months to prep and took over 70 trailers for actors to get it done,” according to the report. That’s one scene that Swinton may be a part of. Finally, Swinton has been recently added to the Avengers 4 cast on IMDB, which further confirms she’ll play The Ancient One in the upcoming blockbuster. Marvel Studios is known for ending their latest films with a few bonus tags, but they shouldn't put an end-credits scene on Avengers 4. Instead, they should allow the fallout of three phases and eleven years of storytelling to conclude in a more traditional way, without worrying about setting up future movies. Although Marvel Studios is far from the first studio to use post-credits scenes, they have made them incredibly popular. It began with Nick Fury (Samuel L. Jackson) appearing at the end of Iron Man, but the promise of what could be really began with The Avengers. It was in its mid-credit scene that audiences got their first tease of Thanos' presence in the Marvel Cinematic Universe. That tag worked as the conclusion of Phase 1 of the MCU, while also teasing everyone with a much grander plan in place. These teases continued with Avengers: Age of Ultron again teasing Thanos before he properly arrived this year in Avengers: Infinity War. Now that he's here and the end is in sight, Avengers 4 should not feature an end-credits scene. We have no idea how the movie is going to end, but it the following is expected: Several heroes will die (for real this time) or retire; Thanos will be defeated; and a new age of heroes will be back alive and ready to carry the MCU into the future. If Avengers 4 is the true end to the story Marvel Studios has been telling through 22 films, then it should actually end without feeling the need to tease audiences with what is next or why they need to stick around for the next decade. To be clear, we aren't proposing that Marvel doesn't give fans any treats during the credits of Avengers 4, especially because that's highly unlikely. Even with Infinity War, Marvel ditched the mid-credits scene (a choice that compounded the shock of the movie's ending) but still included the Captain Marvel tease in the post-credits. Marvel can switch this up again with Avengers 4 by giving fans something in the mid-credits that can be a stinger to the film's actual ending. But, there shouldn't be a need from them to do both - especially when we'll get another MCU movie so soon after Avengers 4. What won't be lost in the Avengers 4 hype is the fact that Tom Holland's Spider-Man - who is currently "dead" - has a sequel coming out two months later. As much as Marvel is going to want to protect spoilers of Avengers 4 (and should move the release up just as they did with Infinity War), Sony will already be in the midst of the marketing process for Spider-Man: Far From Home. Marvel could use the post-credits scene to tease how Far From Home will kick off Phase 4, but it is more likely that any such tease will not actually pertain to Avengers 4's ending and could come off as a forced inclusion. Since Far From Home will already have trailers out and hit theaters just several weeks later, Marvel will show what their future is soon enough. Not attaching a post-credits scene to Avengers 4 also means Marvel doesn't have to promise a future plan that they could eventually want to alter. Marvel and Kevin Feige were able to tease that Thanos was the end game because they were maximizing the assets they had. But in a few months, Marvel Studios will soon have access to the X-Men and Fantastic Four. Whether you believe him or not, Feige has said they aren't even thinking about those characters until they are legally allowed to. This means a post-credit scene teasing the introduction of mutants of Marvel's first family are probably off the table, unless they're done at the last minute. Even if that happened, it may be a cheap tease that, again, doesn't tie to what Avengers 4 will actually be focused on. Between the teasing of these massive Marvel properties or the next universe-destroying villain, there are so many possible directions for the MCU to go in. It makes more sense of Marvel to wait and tease the long game until those plans are finalized or at a more appropriate time - like San Diego Comic-Con or D23 next year. The next Phase and future storyline of the MCU will be revealed after Avengers 4 is released, so the movie itself isn't the right time. Instead, Avengers 4 should simply end, allowing fans to soak in the conclusion for what it is, without having to wonder what a quick scene means for the future. Marvel Studios head Kevin Feige recently confirmed that the first trailer for Avengers 4 will be online before the year is out, but now we're hearing that it might be with us before the end of the month. It wouldn't be an exaggeration to say that Avengers 4 is one of, if not the most highly anticipated superhero movie in history, and as a result, fans are clamoring to known when the first official trailer will be online. Well, while we still don't have an exact date for you guys, we may have a much better idea of when we'll see it. According to MCU Cosmic's Jeremy Conrad, the trailer will debut during a football game; most likely either Monday Night Football on the 26th or the game on December 2nd. Conrad stresses that this is just a rumor for now and should not be taken as a guarantee. He also claims to have verified that the title is indeed Avengers: Annihilation. So, how much stock should we put in this? Conrad has been spot on in the past and has also shared some bogus info, so it's difficult to know. The fact that he's a bit shaky on this report himself may not be a very good sign, however. At any rate, we'll find out soon enough! Tell us, what do you hope to see from the first Avengers 4 trailer? Drop us a comment down below. A new, very compelling theory in regards to the plot of Avengers 4 has surfaced online. Ever since Infinity War concluded, a ton of various theories have surfaced online in an attempt to try and figure out what the remaining heroes can possibly do to undo Thanos' incredibly deadly finger snap. This theory not only gives an interesting answer to the how, but it changes much of what we think we know about the Marvel Cinematic universe up to this point. Warning: possible spoilers ahead for Avengers 4. Even though this is just a theory, if it even partially turns out to be correct, it would be a huge spoiler for the movie. So anyone who wants to go in clean may want to avoid this. That having been said, the theory showed up on Reddit and was cooked up by user ch671. Basically, it assumes that the all-but-confirmed prevailing theory that the movie will use time travel is correct, while also assuming that Tony Stark will create his own version of the Infinity Gauntlet in order to try and balance the universe. The idea is that our heroes will traverse time to collect the Infinity Stones themselves. This theory states that they'll start at the Battle of New York from the ending of 2012's Marvel's The Avengers, since both the Space Stone and Mind Stone were in play. As MCU fans will recall, Tony Stark, at the end of the battle, takes a nuke through a wormhole in space and, at the very last second, falls back to Earth, narrowly escaping death. Or does he? Here's what ch671 has to say about that. "Tony Stark actually died when he went through the portal and the future Tony Stark replaced him and made it back through time at that exact moment! Remember this was the only chance Tony from the future had to switch places with the Tony from the past. The portal closed on him as he was about to fall through so he was actually left stranded in space. Or he was somewhere in between. Could those two seconds of yellow lightning have anything to do with the quantum realm/time travel. We know from Ant Man and the Wasp that Quantum realm is yellowish in color, exactly like those two seconds." This would be a mind-blowing reveal and would make the ending of The Avengers rather dark. It would mean the Tony Stark we think we know and love actually died at the end of the movie. It would also mean that, once the heroes sort out this Thanos business, Tony would likely have to remain dead in order to keep the timeline straight. As the theory mentions, this also takes into account what we learned in Ant-Man and the Wasp about the Quantum Realm. Time doesn't work the same way in that strange place and, as noted, there are color similarities between that landscape and the lightning we see at the end of The Avengers before Tony Stark plummets back to Earth. There are some big problems with this theory, but ch671 has answers. "How can there be a Tony from the future if Tony died in the portal? This one is obvious. The original Tony was supposed to come back but Tony from the future realized it's better to switch suits and let the old Tony die. Maybe everything that happened after Avengers 1 happened because Tony Stark from future made it back. In an alternate universe where the old Tony died and the future Tony didn't make it back, things go a lot worse for Avengers without Tony. Maybe that's why he sees a vision of them dead in Avengers 2 and decides to build Ultron. Maybe Dr. Strange knows Tony from Infinity war HAS to make the trip back in time to ensure things go as they do, and that's the only one in 14 million chance that they have. Obviously this is time-paradoxical and very hypothetical but since when has something like that stopped sci-fi movies from imagining." It's all a big head trip, as time travel can often be. For the time being, all we're left with is theories, since Marvel is keeping the plot closely guarded. Avengers 4 is set to arrive in theaters on May 3, 2019, and Kevin Feige recently promised that the trailer will arrive before the end of the year. Maybe that footage will help clue us in as to what is really going on, or if this theory has any real weight to it. To read the theory in its entirety, head on over to Reddit. Following its introduction in Ant-Man, it's become clear that the Quantum Realm is very important to the MCU's future and Kevin Feige has dropped some hints about how it will factor into what comes next. We first visited the Quantum Realm in Ant-Man before getting to spend a little more time there in Ant-Man and The Wasp when Hank Pym finally rescued Janet Van Dyne. With the mention of Time Vortexes in the latter's mid-credits scene, it appears as if that could factor into Avengers 4 in a big way and now Marvel Studios President Kevin Feige has teased its significance. While he doesn't directly mention the Avengers: Infinity War sequel, the producer makes it clear that #ItsAllConnected and makes it clear that it is going to be explored further in future films. "At the end of Ant-Man we followed Scott Lang into the Quantum Realm for the first time. We were beginning to peel back the onion that would later be completely peeled back in Doctor Strange as we go into the multiverse. So that was our little test into that." "But now the Quantum Realm is a whole other territory that we can play with to tell our stories," he continued. "This Quantum Realm is much larger than we ever imagined, and there are all sorts of adventures to be had at that level, which perhaps we will explore in another film." Is the Quantum Realm going to be a gateway to time-travel and a substitute for the Negative Zone? With Annihilus rumoured to appear in Avengers 4, you have to believe that's a pretty strong possibility. What do you guys think of these remarks? As always, share your thoughts in the comments section. we've learned in recent months, click on the "View List" button below! It sounds like it took Marvel a very long time to get the screenplay in shape because Joe Russo reveals that there were originally around a hundred speaking parts and that, "[There were] different approaches to style in terms of execution. One even had Thanos narrating most of the movie." "So it gave us a lot of flexibility in terms of how much story we can jam into it," he continued. "But at a certain point, you know, you get 20 pages into it [and] it was so dense, you’re like, ‘Nobody’s going to be able to follow this.’ So we just started stripping things out." It's fair to say that the final version was not only easy enough to follow but also a well-told story which definitely didn't disappoint fans. 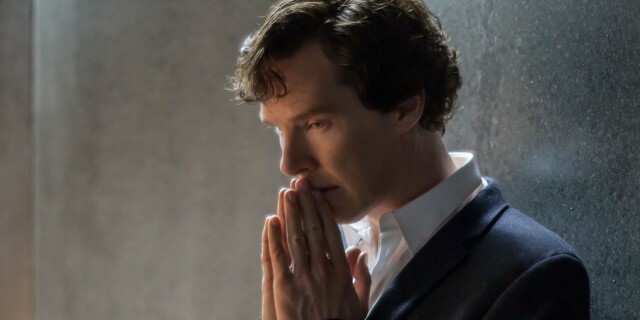 As you're no doubt already well aware, Benedict Cumberbatch is well-known for playing Sherlock Holmes in BBC's beloved Sherlock series. During the director's commentary, Joe joked that they should have had Tony say "No sh*t, Sherlock" the first time he meets the Sorcerer Supreme before confirming that it very nearly made it into the movie before he and Anthony decided it was a tad too "obvious." Guardians of the Galaxy made it clear that Thanos was responsible for the murder of Drax's family but we never got any specifics. However, Joe Russo has revealed that the hero was forced to witness their deaths the exact same way those on Gamora's home planet did years earlier. "His planet was treated the same way as Gamora's planet," the filmmaker confirms "Drax was put on one side, his family was put on the other." Clearly, Ronan the Accuser was put in charge of that culling by the Mad Titan. Some eagle-eyed fans noticed that the God of Thunder's ship looked quite a bit different to the one we saw in Thor: Ragnarok when it was reintroduced in this superhero ensemble and we now have an explanation for the change. It ultimately boiled down to the tonal differences between the films. "I think this is a good example of how things change tonally when you go from movie to story to story," co-director Anthony Russo explained. "This ship in Ragnarok was very brightly coloured, you know. It had the vibrancy and whimsy of that film, which works so very well there. We are telling a very different story here, so we redesigned it with a different texture and tone to support this story." Captain America and Iron Man never cross paths in Avengers: Infinity War and we're now going to have to wait until the next instalment to see that happen. However, Joe Russo points out that while Rhodey was happy to let bygones be bygones to tackle a larger threat, Tony being present could have changed that and a reunion would have made heading to Wakanda to save the day a lot more complicated. "Which is why we didn't do it," Stephen McFeely added. "We tried in a few drafts and it ground things to a halt." It would have been fun to see this play out but you can understand why it didn't. 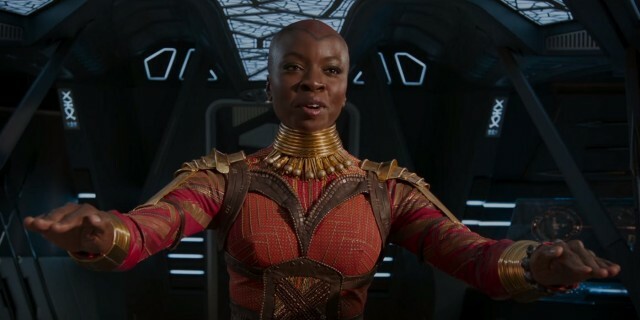 Okoye watched her king turn to dust in front of her very eyes and while that's bad news for the character, it may be good news for Danai Gurira because it seems as if she'll have a bigger role in Avengers 4! "Danai did, I thought, amazing work in Infinity War," Joe said. "And I think that that character is very powerful and super compelling and I think there's a lot of places to go with [her]." The Russos take Peter Quill on a very unique journey in Avengers: Infinity War and Joe Russo made a pretty unexpected comparison between him and another, very different, big screen hero. "Quill is a very interesting character to us. He's sort of like a Peter Pan character. His mother as dying of cancer, he was kidnapped at the age of 10, & raised by pirates. He's unique, and what's fun about him is he's very flawed and he's emotionally damaged," the filmmaker says. "His mother's been murdered..."
After co-writer Christopher Markus added that he also "Murdered his own father," Joe concluded: "His girlfriend's about to die in the movie. So this is a guy who has incredible catharsis in his life." After acquiring the Mind Stone at the start of Avengers: Infinity War, Thanos removes his armour and doesn't put it back on for the entirety of the movie. However, Joe Russo has now shed some light on how that signalled a change for the Mad Titan as he embarks on his mission to "save" the universe. "It's interesting because as Thanos moves forward in the film from this moment, once he disposes of his armor, he almost becomes a holy warrior where he doesn't spend a lot of energy intentionally trying to murder people, unless they're in some way a threat to his agenda. But almost no one ends up being a threat to the agenda except for Tony, who I think feels he has this sort of existential connection to Thanos. It's the one moment where he is actively...since brutally murdering Loki for disobedience, where he actively is going to murder someone for standing in his way. Of course, he sacrifices Gamora, but that is to obtain the Soul Stone." While some sceptical fans argued that the Iron Spider was only introduced to give Dinsey the chance to sell more toys, co-writer Stephen McFeely was quick to deny that. "Everything [happens] for a reason," he explains. "Peter just doesn't get a suit because we want him to look cool and sell more toys in this one. He needs a different suit." The question is, should we buy what he's selling? Based on remarks from Joe Russo, yes! "He needs to go to space in something different, something that he can breathe in. Something that will let him function in the environment he's about to encounter." It's a fair point and from a logical standpoint, the wall-crawler did need a new suit. As many comic book fans pointed out when Avengers: Infinity War was released, Ebony Maw had a lot in common with Mephisto (a character who played a key role in the Infinity Gauntlet comic book). During the Director's Commentary, Joe Russo confirmed that it was a deliberate decision to play up the similarities between the two and they even went as far as giving the Maw some similar dialogue. We know there's something of a division between Marvel Studios and Marvel Television and during Avengers: Infinity War's director's commentary, Joe Russo joked that Cull Obsidian's hand (which was cut off by Doctor Strange) is still in Washington Square Park. Co-Writer Christopher Markus then piped up for a tongue in cheek dig at a certain TV series by telling fans where they should look to for answers about what happened to that hand: "Tune into Agents of S.H.I.E.L.D.," he joked. That's gotta sting, eh? We've told you that Joe Russo has confirmed that Valkyrie escaped alongside a number of Asgardians but what about Korg, Thor: Ragnarok's breakout character? 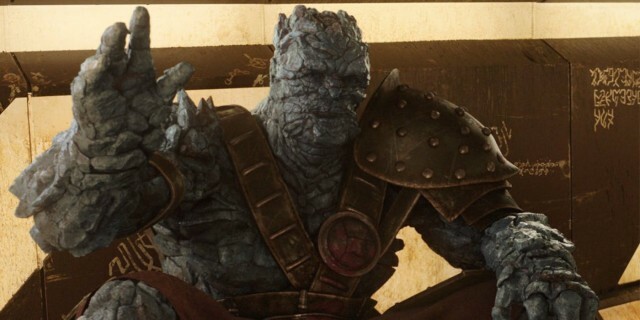 "All I can say is pray for Korg," Markus says, no doubt leaving fans fretting about when and if we'll see the beloved alien show up again. 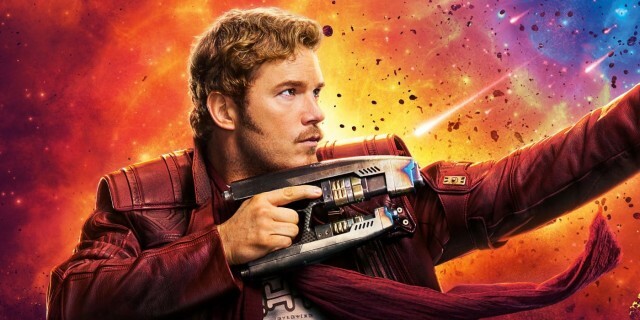 Since Avengers: Infinity War was released, Star-Lord has frequently come under fire for his role in helping Thanos escape Titan and wipe out half the universe because he couldn't keep his temper in check. However, Joe Russo was quick to defend Peter Quill's actions and offered an explanation. "So if you can’t understand someone making a human choice like that, I don’t know if you understand humanity very well. But he is a flawed character, and that’s what’s so compelling." By the time we catch up with Stephen Strange in Avengers: Infinity War, he's been Earth's Sorcerer Supreme for a while and Joe Russo explains that he now considered one of Earth's mightiest heroes! "Doctor Strange's power level, we could talk about. And from the books, as a kid, what I loved about Doctor Strange is that he always had a mystical spiritual side to him that seemed to know more than all the other characters. And I found that very entertaining, and we wanted to advance his power levels since the end of Doctor Strange because it has been a few years. And that he's been doing his work and he's a diligent study and he is now one of the more powerful characters in the Marvel Universe." 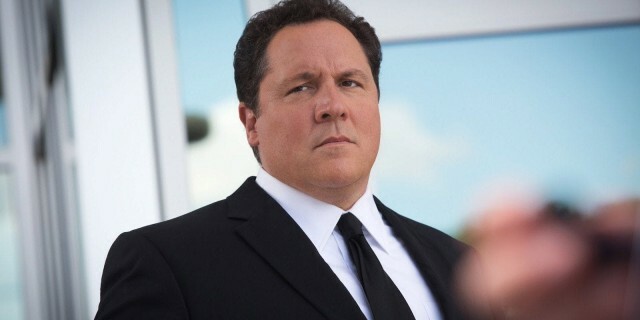 Unfortunately, Jon Favreau's return as Happy Hogan was cut from the movie. In the scene (which is included as a deleted scene on the disc), he was going to chase off some paparazzi trying to get shots of Tony Stark and Pepper Potts in the park. The whole thing is pretty hilarious, so why was it scrapped? "The movie was really long and we were looking for places to pace it up in the opening and unfortunately that was one of the things we had to cut," Joe says. "But I was willing to cut my own cameo in the movie so it shows how much we really needed to get that park scene moving." Anthony adds: "It was really hard to cut Jon as he is such a funny performer and we loved working with him." While this isn't made clear in the movie, we learn in Avengers: Infinity War's director's commentary that Tony Stark actually knows that The Vision has been sneaking off to see the Scarlet Witch and actually has no desire to turn him or the rest of Cap's Secret Avengers into the government. "Tony's too intelligent and has too big of an ego to be a stooge to the government," co-director Joe Russo noted. "He will take whatever by-product came out of Civil War and use it to his own advantage and to keep the Avengers alive in a way that he feels like is less the compromise, the better for him. So, I think he has not been actively pursuing bringing Steve Rogers and Natasha and Sam and Wanda to justice. He has in fact been turning the other way." Bring on that reunion, eh? Why is The Hulk so scared of Thanos? Well, it's because the Mad Titan was able to beat him with his bare hands and that fight they have at the start of the movie didn't feature the villain enhanced by the power of the Infinity Stones. "He's not using it," Joe Russo said, referencing the Power Stone. "This is to show that Thanos, the Genghis Khan of the Marvel Universe, he's unbeatable in 1-on-1 battle. He's conquered thousands of worlds. He's a much more polished fighter than the Hulk and Thor." 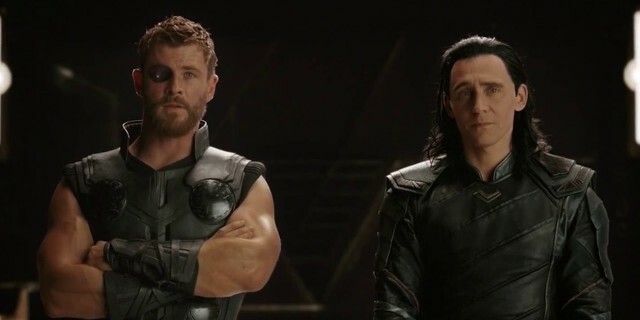 During the scene featuring Loki's death, Anthony Russo explains that Thor and Captain America are now linked because their stories are rooted in tragedy as they've both lost everything dear to them. "One thing I think we all really responded to about Thor is where he's left at the end of Ragnarok with the destruction of Asgard. We all have a history with the Captain America character, and I think there's an interesting connection there in that Cap was also a character who lost everything. There's something fascinating about exploring these people as you strip away who they are and their built-out identities and find out what's left. "I think we are going through a very similar process with Thor in this movie. Especially with this scene, we're completing the experience that Ragnarok brought to Thor in the sense that we're taking the rest of everything away from him. Everything that remains. He's starting with nothing after that point and trying to climb his way back is a very underdog arc, a very rousing arc. I think that the road that he follows is very empathetic." Something many fans have wondered since the movie was released is why Thanos couldn't just use the Reality Stone to wipe out half the universe, especially as he demonstrates its powers a number of times throughout the course of the movie. Well, it turns out that it essentially creates "illusions" and the Mad Titan had to have all six in order to unleash their power and succeed with his master plan. "We were asked by a 12-year-old in DC at a Q&A why Thanos needed all six Stones and why he didn't just use the Reality Stone to alter reality," Joe Russo said. "The idea being that only something so dramatic of disposing life in half the universe could be accomplished with the power of all six." 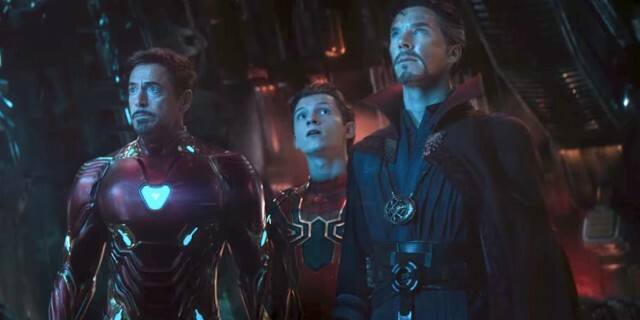 Fans were left gobsmacked by the movie's many deaths but when it came to choosing who should go and when, Anthony Russo explains that it came down to paying off certain character story arcs. "The movie sort of keeps twisting at the end there in ways that you can't believe it's going one step beyond and that the fate of our characters and the fate of our universe are still at play. In terms of our choices of who Thanos would end up eradicating with his snap, it was very story focused. How do we pay off each individual character story most profoundly? The first person to go is Bucky Barnes and it's shot from Captain America's perspective. We're watching Cap go through the experience of watching him go away. We're watching Okoye, whose number one mission it is in life is to protect the king. She watches the king go, in front of her. To see those characters react in those situations is very powerful and resonant." Avengers 4 is still a ways away, but fans are already searching for tips about its secrets. So far, Marvel Studios has kept a tight lid on the blockbuster, but its directors did just drop a much-wanted update on how long the sequel may last. Recently, Joe Russo took to Instagram for a live Q&A session. The director held the event in honor of the Duello Bar’s opening, and it was there the director was asked by a fan how long Avengers 4 will run. Of course, the director could not say anything for certain, but he did let netizens know where the run time is sitting as of right now. "The running time on Avengers 4 is currently sitting right at 3 hours, so we'll see if that holds, but it's sitting right at 3 hours right now,” Russo explained. So far, this is the first clear update fans have gotten on a run time for Avengers 4. In the past, Joe and Anthony Russo sat down with Collider to talk about the highly anticipated flick, and it was there Joe said the film could easily be three hours if need be. “I do think it’ll be longer than Avengers 3,” he continued, prompting Anthony to stress it was impossible to predict the run time as it stands. With Avengers 4 slated to debut next May, the clock is ticking on the long-awaited project. Marvel Studios has a clear plan in mind for the film, and work is still being done on it behind the scenes. At this point, no footage has been shown of Avengers 4, and fans are eager to get a first-look at the film when its debut trailer goes live. The Russo Brothers still have time to settle on a final theatrical cut for Avengers 4, but a three hour feature wouldn’t upset fans. Films like Captain America: Civil War clocked in with a meaty run time of 2.5 hours, so Avengers 4 could very well be the one to break the 3.0 hours mark. So, would you be okay if this Avengers blockbuster clocked in at 180 minutes...? Let me know in the comments or hit me up on Twitter @MeganPetersCB to talk all things comics and anime! Avengers 4 looks set to bring time travel to the MCU, but has Nick Fury been seeing the future all along? A new theory suggests that Captain Marvel will dabble in time travel too in a bid to explain the S.H.I.E.L.D. Director's sometimes preternatural degree of foreknowledge in the MCU. This theory (started by a user on Reddit) suggests that, in Captain Marvel, Nick Fury will somehow experience the future of the MCU. While he won't know all the details, he'll know enough to realize that he needs to rise through the ranks and take charge of S.H.I.E.L.D. The Avengers Initiative will become his focus simply because he's foreseen how important Earth's Mightiest Heroes will be to protecting the planet. And, crucially, he'll also be warned of the cliffhanger ending of Avengers: Infinity War - a single catastrophic moment when half the life in the universe is obliterated in seconds. While it's a madcap idea, Fury's foreknowledge would neatly explain so many aspects of confusion in the MCU, from why he chose not to summon Captain Marvel until Thanos, to why the Avengers exist in the first place. COULD NICK FURY LEARN OF THE FUTURE IN CAPTAIN MARVEL? It's generally believed that, in the MCU, time travel will be possible by entering into the Quantum Realm. The Quantum Realm is actually inspired by real-world scientific theories; that if you shrink beneath a certain level, the fundamental laws of time and space begin to break down. As such, time travel would theoretically be possible. Supporting this theory, leaked toy box art has shown the Avengers wearing containment units very much reminiscent of Hank Pym's Quantum Realm suits in Ant-Man & the Wasp. The Quantum Realm has already been confirmed to feature in Captain Marvel in some capacity, although how has yet to be revealed. One theory is that the MCU version of Captain Marvel will gain her powers through exposure to the Quantum Realm - certainly, the flare of energy that engulfs Carol is very much reminiscent to the Quantum Realm explosion in Ant-Man & the Wasp - or that she'll end the movie trapped in the microverse ahead of Avengers 4. But, with time travel coming to the MCU, could we end up getting a tease of that concept? Concept art for Ant-Man & the Wasp revealed that Marvel considered developing what they called "a quantum memory palace", a mysterious nexus where people could experience their own memories and potentially rewrite history. Given the laws of time break down within this dimension, it's theoretically possible that people exposed to its energies could catch visions of the future rather than the past. If the Quantum Realm has a more active role in the film, it's been theorized that Nick Fury will get a glimpse of the future, gaining selective knowledge of things yet to happen and a sense of just what needed to be done in order to undo or avert Thanos's victory. That would explain why one official Japanese Disney site has suggested that Captain Marvel is the story of "the birth of the Avengers." This may well explain many of Nick Fury's actions in the MCU to date. When Fury approached Tony Stark in the post-credits of Iron Man, he told him that he had "just become part of a bigger universe - you just don't know it yet." This statement sounds cool but doesn't hold up to scrutiny; while Fury knew of other superhumans, such as Ant-Man or Ghost, he doesn't seem to have considered any of them for membership of the Avengers Initiative. The "bigger universe" he intended Tony Stark to operate in was really one featuring other characters who Fury had yet to meet. Over the next few years, the pieces of Fury's Avengers Initiative began to fall into place in very curious ways. Fury insisted on tracking down Captain America's body, for example; the official tie-in comic Fury's Big Week, it's implied Fury believed Steve Rogers was still alive, fighting to recover the body long before it's found. Then, in The Avengers, Fury seemed absolutely, unshakably convinced that the Avengers Initiative was the one approach that could save the world. In the end scenes, when confronted by the World Council about what he had just started by letting the Avengers loose, Fury seemed strangely relaxed, then when questioned by Maria Hill whether the Avengers could ever reassemble, he gave a confident response: "They'll come back. Because we'll need them to." All this fits with the idea of Fury experiencing a vision of the future: he knew that Tony Stark was destined to be part of "a bigger universe"; he knew that Steve Rogers was alive; and he knew that the Avengers would indeed return. In Avengers: Age of Ultron, it's Fury who turns up to motivate the team on the course that will lead to the creation of Vision. Of course, Fury's knowledge couldn't be perfect - he wasn't aware of Hydra's infiltration of S.H.I.E.L.D., after all - but that makes sense; if he experienced just a brief vision of the future, it would involve select moments. The question of this theory, though, looks to the future: how does this impact Thanos & Avengers 4? The first ever Marvel Studios novel, Thanos: Titan Consumed by Barry Lyga, may have dropped a tantalizing clue that either the Celestials or the Horde will be the new villains in Avengers 4. Although little is known about next year's Avengers sequel, there's some evidence that Thanos won't be the only enemy the Avengers need to take on. Leaked toy box descriptions have teased "new foes" and "an even greater threat." This important clue appears in Barry Lyga's novel, Thanos: Titan Consumed, which reveals Thanos' history. Although Marvel has clarified that the book isn't to be considered strictly canon, Lyga worked closely with Marvel Studios while writing it. In fact, while it was completed well before the theatrical release of Avengers: Infinity War, the plot shows an intimate knowledge of the film's narrative. Thanos: Titan Consumed accurately reproduces Gamora's recruitment, and teases a cosmic "out of body" experience for Thanos after he's snapped his fingers and accomplished his insane goal. If Lyga knew the events of Infinity War, it's entirely possible he also had some knowledge of Avengers 4, and that an element of foreshadowing may be visible in this story. Everything else the Lorespeaker says about the Infinity Stones is correct according to the MCU's mythology. If he's right about this as well, then powerful forces still exist in the cosmos - beings of immeasurable power who keep a careful watch upon the Infinity Stones. The Celestials themselves are perhaps not quite so extinct as has previously been believed; it's possible Ego wasn't the last of his kind after all, but rather that the Celestials had retreated from the universe but continue to monitor it. Meanwhile, the reference to other forces - "the ones whom the Celestials fear" - is absolutely fascinating. Over in the comics, there isn't really any cosmic force the Celestials can truly be said to fear; the closest match is probably the Horde, an insect-like race who are agents of destruction. They can even target and infect Celestials, consuming the life-energy within them. If the Lorespeaker's words do indeed foreshadow Avengers 4, then Earth's Mightiest Heroes could well find themselves confronted with either the Celestials or the Horde. If so, they really are about to take on a greater threat than even Thanos - they're dealing with cosmic races of life and death, forces who can judge entire worlds and civilizations. It can't be long till the release of a trailer for Avengers 4, which will hopefully offer some more clues. The latest Avengers: Infinity War fan theory suggests that Thanos didn’t complete his quest for the Infinity Stones. The theory comes from Reddit user 11_Apollo_22, and even they admit it is a bit of stretch. 11_Apollo_22 noticed that the visuals for Scarlet Witch’s powers are red. The Reality Stone is also red. Could this be a hint that Thanos is being tricked into believing that he has acquired all six Infinity Stones when he has not? There are a few problems with this theory. For one, the Scarlet Witch’s powers were unlocked by the Mind Stone, not the Reality Stone. Any similarities in color between her abilities and the Reality Stone seem incidental at best. The character is called the Scarlet Witch. Making her powers blue or green would have been off-brand. There’s also the question of how Thanos managed to wipe out half of all life in the universe if he didn’t actually have all six Infinity Stones. It seems unlikely that this is some sort of placebo effect and that the power was really inside Thanos all along. 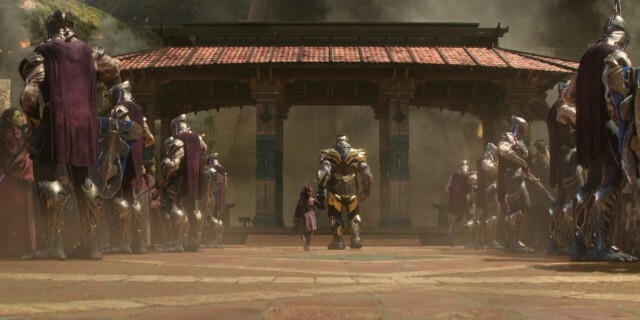 The brief conversation between Thanos in young Gamora seemed to confirm the reality of the situation as well. But perhaps the effects of the snap are all a part of the Scarlet Witch’s illusion? That also seems unlikely. The Scarlet Witch hasn’t proven to have that kind of power. If she did, she maybe wouldn’t have blown up those people in the Wakandan embassy and the Avengers could have avoided their Civil War. And besides, what purpose would such a large and elaborate illusion serve, especially when - based on their reactions - none of the other Avengers are in on the joke? Many Marvel Cinematic Universe fans clamor for any hints or references that could tie films like Avengers: Infinity War to the events of Agents of SHIELD. Despite the fact that Marvel Studios and its counterpart Marvel Television are two distinctly different entities, the thin perception that the stories exist in the same universe causes fans to maintain hope. 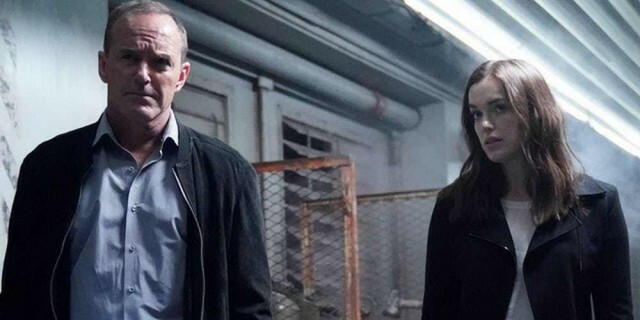 The latest theory from a Reddit user suggests that the fifth season finale of Marvel's Agents of S.H.I.E.L.D. will play directly into Agent Phil Coulson 's return in Avengers 4, which has not yet been confirmed by anyone at Disney or Marvel. Actor Clark Gregg will be reprising his role as Coulson on the big screen for the first time since Marvel's The Avengers, though it will be in the '90s-set Captain Marvel. This movie takes two decades before the events of The Avengers, meaning Marvel Studios won't have contradicted its own continuity and can still keep their little sibling at Marvel Television in the dark. So, I'm pretty sure Coulson will be alive in season 6 for a number of reasons, but primarily, I'm convinced he's going to play a role in Avengers 4. -Robin's prophecy that only Coulson could 'bring the pieces together' was never fulfilled. Even in the finale, the team speculated as to the meaning of the prophecy; The 'most likely' theory put forward was that he held their team together, thus reinforcing their desire to attempt healing through use of the centipede serum. This was but another red-herring as was conjecture that he would be the one to bring the pieces of the monolith back together, which was actually accomplished by Flint. Coulson was out of commission for most of the finale. The team remained largely divided in opinion regarding the best course of action. He didn't really serve the narrative function of providing a unifying force for the team. He held it together long enough to pass the serum off to Daisy, thus enabling her to defeat Talbot, but half the team were unaware that he had even managed to leave his hospital bed. -The movies are written well in advance of the TV series. Thus if the movies needed Coulson to be in a particular place to re-integrate his story with the films, the writers of the show would have ample time to do so; For example, let's say that general audiences would be, for the most part, unfamiliar with Coulson's resurrection and continued adventures on Agents of SHIELD and that the last time they saw him was dying due to a stab wound through his chest received from Loki's scepter. Let's also say that the writers of the films don't want to go through the expository task of conveying the requisite backstory needed to explain his return in a future Avengers film. Perhaps the writers of Agents of SHIELD might begin a storyline which through contrivances of the plot somehow cause Coulson to be dying from the same fatal injuries with which general audiences last saw him. He also ends up in TAHITI, a magical place. The writers could perhaps even start that storyline a year plus out from his return in the films, say the end of season 4, about the time at which the Russo Bros. would have made such a decision. Coulson is conveniently re-appearing in a film, featuring the Kree, which hits heaters just three months before the fourth Avengers film; Beyond fanservice, this is a good way to 'prime' audiences for his return, reminding them of his character as he has been unseen since 2012's Avengers. -Robin's prophecy was about Avengers 4; Coulson is the only one who can bring the pieces of the Avengers back together. They played the audience throughout season 5; Robin saw this prophecy in the future, after Talbot destroyed Earth; Robin is great at playing the pronoun game and the temporal displacement of her consciousness adds an air of ambiguity to everything she experiences and says. Case in point, both in the 'present' and 'future', Robin refers to May as 'mom'. When she says 'they' can save the world, she refers to both the SHIElD team and the Avengers, referencing both the battle against Gravitron and Thanos. The manner in which Robin speaks allowed the writers to place hints throughout the season for future events. -The writers of Agents of SHIELD conveniently avoided the influence of the snap, taking events of the finale right up to the point where chronologically they coincide with those of Infinity War. So, I think Coulson will be alive for the sixth season as a consequence of the events of Avengers 4. Clark Gregg has been on set to direct, which conveniently allows him to also film without drawing attention. He needs to be 'dead' to the world such that general audiences as well as AoS fans can be surprised by his 'resurrection' in Avengers 4, where Coulson will 'pull the pieces back together' ie, Coulson will be the one to reunite Tony and Cap, the 'pieces' of the still fractured Avengers who have still not reconciled their conflict which began with Civil War. The timing of production, film / show release dates, and the fact that both general audiences and AoS fans have left Coulson in virtually the same place lead me to believe this theory holds considerable weight. Imagine, this scenario; Captain Marvel somehow finds Coulson in Avengers 4, heals him with Kree tech or discovers some other means by which to keep him alive. General audiences, now familiar with the kree due to Captain Marvel, will fully understand when Coulson steps back on screen, referencing Tahiti, a magical place, either bearing or recovering from the injury received from Loki, and crediting Kree technology for his revival and the scene will make perfect sense without any reliance upon project T.A.H.I.T.I. or any of the events from the five seasons of Agents of SHIELD. Obviously the lines would have an additional layer of significance / meaning to fans of the show, but they would still make perfect sense to the average moviegoer. Coulson wasn't dead, only dying at the end of season 5, so he doesn't really need to be fully resurrected a second time. All this is not to say that he must be a series regular in the sixth season. But I do believe Coulson will be alive. But Coulson's appearance has once again worked the diehard Marvel fans into a frenzy, as many of them attempt to reconcile the events of Agents of SHIELD with what's going on in the movies. The latest fan theory posits that Coulson has major role to play in the future of the MCU, possibly turning the tide in the battle against Thanos. While Marvel Studios movies and Marvel Television shows don't usually interact on this level, many fans would likely enjoy seeing such a development play out. What do you think? When you have a cultural phenomenon on the horizon — much like Marvel Studios has with the yet-untitled Avengers 4 — every fan thinks they have the perfect idea on what's going to happen. While most fan theories are nothing more than wishful fan fiction, every so often something that pops almost seems too good to be true. A new fan theory that popped on on the /r/MarvelStudios subreddit earlier today might be the most well-though theory we've seen yet — and it involves a character we haven't seen in quite some time being the key to The Avengers' success in defeating Thanos (Josh Brolin). According to /u/mushbertThor supporting star Erik Selvig (Stellan Skarsgard) holds to key to defeating Thanos. The theory starts off with attempting to prove all of Selvig's jumbled notes from his chalkboard in Thor: The Dark World. As the theory points out, Selvig has predicted several events in the Marvel Cinematic Universe coming true since his apparent mental breakdown, all of which can be read on the full Reddit post. The theory states that since Selvig was under the sway of the Mind Stone as it was still contained in Loki's Scepter, it gave the scientist all of the necessary information about the events that were about to unfold. The well-thought-out plot hints that Selvig knew about "The Snap," causing half of the universe to disappear and although they aren't necessarily dead, they aren't really alive either creating a Schrodinger's cat scenario. It goes on to share that Selvig's notes from Thor: The Dark World can be deciphered into hinting at traveling across both space and time — thanks to the "Fractal Gateways Connecting MutipalBranes" section of the chalkboard. As the theory points out, the verbiage relates to quantum mechanics — a plot point that carries a decent amount of clout in a post-Ant-Man and the Wasp world. Essentially the theory states that Selvig knows The Snap was going to have and create a fault in which the multiverse crashes in on itself. Because of the unnatural occasion, the theory states that the larger-than-life Cosmic entities — think the Living Tribunal or Master Order and Lord Chaos — are the threats bigger than Thanos in Avengers 4. The theory then goes on to state that Thanos, feeling guilty about murdering his daughter so that he can complete his Gauntlet, will try snapping again to reverse the actions only for it create a larger rip in the space-time continuum, which in turn, will end up giving us the Fantastic Four and mutants. The Avengers 4 trailer is coming, but what will actually be revealed in the first look at next year's epic MCU culmination? The trailer for the next Avengers film is probably the most hotly-anticipated teaser in Marvel history, not least because we don't yet even know the movie's title. And, with the trailer expected to release very soon, anticipation is going through the roof. But what should viewers expect from the Avengers 4 trailer? It's important to remember that Avengers: Infinity War was one the most secretive film of all time; most of the stars didn't even get access to the full script and the release itself was dominated by #ThanosDemandsYourSilence. And while there's no big cliffhanger to be hidden in Avengers 4 (presumably), all the evidence suggests it will still have a highly secretive marketing campaign. So don't expect this first trailer to give away major secrets. But the Avengers 4 trailer still needs to sell the film, establishing its surviving heroes, returning villain and getting audiences hyped for one of the biggest movies of 2019. From what little is known about the movie and Marvel's track record in advertising their tentpoles, here's what we expect to see in the Avengers 4 teaser. Perhaps surprisingly for some, the Avengers 4 trailer will surely focus strongly upon Thanos. 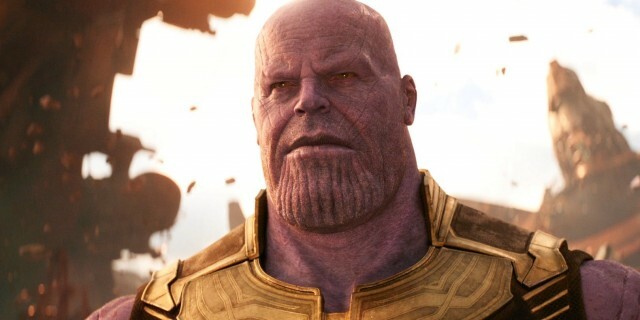 The Mad Titan's exact role in Avengers 4 is unknown, but so far this film does appear to be the continuation of his story. For all fans have gotten distracted with talk of "new threats" in the Avengers sequel, the fact remains that Avengers: Infinity War's sequel tease card read "Thanos will return". In part a reference to his victory in the cliffhanger ending, Josh Brolin was nevertheless on set for a substantial portion of the Avengers 4's shoot (and Thanos featured prominently on the official InfinityWar/Avengers 4 wrap cake). Given this is the case, it's safe to assume the trailer will be designed to remind viewer that Thanos is still the star of this show. All that said, it's currently unclear what Thanos' exact role will be in Avengers 4. Presumably, Earth's Mightiest Heroes are attempting to undo or avert the snap, and Thanos is attempting to stop them. If that's the case, then the trailer would want to establish a contemplative Thanos realizing that his "achievement" is imperiled, as well as what he'll do to stop the surviving Avengers. 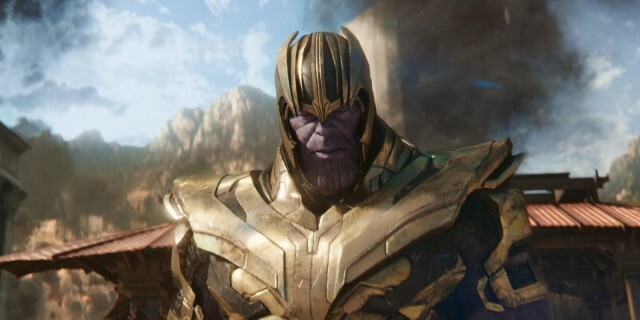 In addition to expecting new footage, it must be noted that a lot of Thanos' Avengers: Infinity War dialogue would be perfectly suited for the Avengers 4 trailer: "Now is no time to mourn, now is no time at all"; or perhaps the Soul World conversation with Gamora, where Thanos admits his victory cost "...Everything". Thanos may be the central character of Avengers 4, but this is still an Avengers film, and the trailer will need to introduce the new team. If rumors of a five-year time-jump are correct, that may be quite a challenge. Perhaps the trailer could use Scott Lang to frame the film; he's expected to escape the Quantum Realm and emerge in a world that's significantly changed. Scenes of him racing through the deserted streets of San Francisco would be particularly chilling. 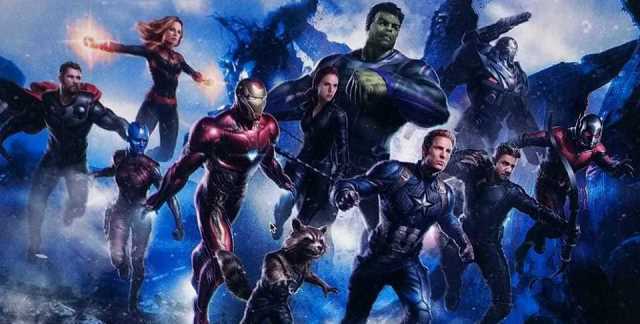 Avengers 4's main line up of heroes includes OG group Iron Man, Captain America, Thor, Hulk, Hawkeye and Black Widow along with fellow survivors Captain Marvel, War Machine, Ant-Man, Nebula and Rocket. 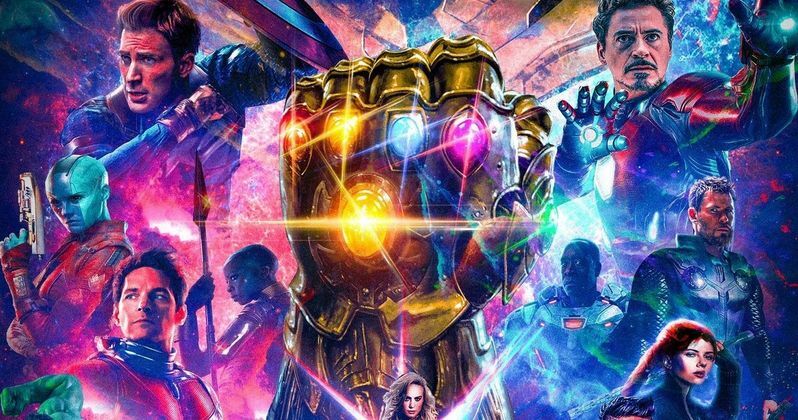 Along with being a large core team of eleven heroes, based on production artwork there's going to be some changes to what audiences expect: War Machine will have nano armor; Hawkeye will have taken on his Ronin identity; Captain America has his comic-accurate scaled armor; and Hulk will be wearing clothes, hinting at Bruce Banner's two personas merging into the "Professor Hulk" identity. Naturally, there'll have to be some sort of "money shot," akin to the Wakanda charge in the Avengers: Infinity War trailer. Considering that the leaked art has been widely circulated, it wouldn't be a surprise if the Avengers 4 trailer included the live-action version of that scene, with the heroes apparently in space rushing towards a threat. Aside from the core characters, one essential location that the Avengers 4 trailer may want to include is a glimpse of the Quantum Realm, a mysterious plane of reality outside the normal laws of time and space from the Ant-Man movies. While the microverse's importance isn't fully understood, the Quantum Realm appears to be the narrative thread running from Ant-Man & the Wasp, through Captain Marvel, and presumably on to Avengers 4. The popular theory is that the Avengers will use the Quantum Realm to travel in time, attempting to rewrite history and prevent the snap ever happening. Even if that is the case, though, don't expect an extended sequence in the Quantum Realm; the purpose of this trailer isn't to reveal the film's plot, it's simply to generate excitement. There's going to be a lot of characters in the Avengers 4 trailer, but don't expect to see any of the dead heroes. Marvel Studios seem to be heavily invested in pretending the snap will be permanent. In the build-up to Avengers: Infinity War's theatrical release, Kevin Feige warned that some of the Infinity War deaths will stick, and despite films for Spider-Man, the Guardians of the Galaxy and Black Panther all in-development, Marvel's been following that line. So, as obvious as a big return may seem, don't expect this first Avengers 4 trailer to entertain that possibility. In fact, it's entirely possible that the trailer will appear to set up some sort of "avenging" arc, ignoring the plan to avert the snap altogether. While vengeance will no doubt be part of some characters' motivations - Thor in particularly will want a chance to strike Thanos dead - this would effectively conceal the main plot. Spinning on from the hiding of the plot, don't expect any theories about time travel to be confirmed by this first trailer. As already noted, it's believed Avengers 4 will see Earth's surviving heroes attempt to rewrite history. But the first trailer isn't about the story at all; it's about setting the mood, establishing the context for the adventure, and generating hype for it. 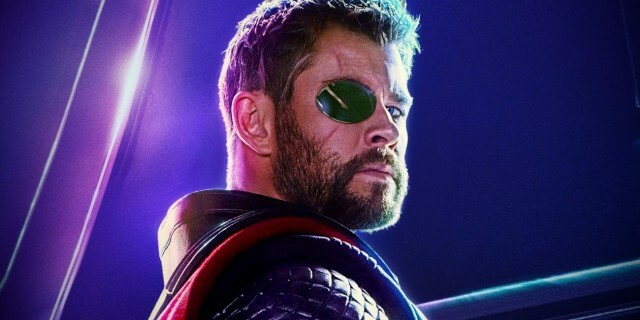 Depending on the angle Marvel take in the Avengers 4 trailer, there may be scenes from The Avengers' Battle of New York or Guardians of the Galaxy (two movies set photos have revealed the film will revisit); but these are likely to be presented as though they were flashbacks, or as reminders that the story of the MCU is building to a head. Marvel isn't going to give away so important a plot point as time travel in their first trailer for Avengers 4. It's important to note that, just as with Avengers: Infinity War, Marvel's secrecy will undoubtedly conceal some major plot twists. Avengers 4 writers Christopher Markus and Stephen McFeely have stressed that "the film doesn’t do what you think it does." Given that's the case, even the most well-informed viewer is sure to be surprised at the final plot - and, therefore, there's the potential for some real surprises in this trailer as well. The trailer drop will be the moment when the countless Avengers 4 theories begin to be tested by reality. Some will be discounted (possibly even some of the most common and well-established idea) and no doubt many more new theories will be born. For sure, whatever it holds, the hotly-anticipated release of the first Avengers 4 trailer is the beginning of a far more informed debate about the film. You can add two more characters to the list of those confirmed to have survived Thanos' snap in Avengers: Infinity War. Brandon T. Snider, author of the new book "Marvel's Avengers: Infinity War: The Cosmic Quest, Volume 2: Aftermath," shared photos of the book's front and back covers to celebrate its release and if you look carefully at the plot summary, it confirms that Dr. Erik Selvig and his associate Darcy Lewis survived the snap. They're the lead characters of the book. "A deadly threat emerged from the cosmos -- and it was fulfilled. In the wake of Thanos's horrifying success, the people of Earth are left reeling in despair and confusion. Without any logical explanation for the blip-out event, those remaining must pick up the pieces. Doctor Erik Selvig and his associate Darcy Lewis are determined to find and understand the cause of the devastation. With a team of friends both old and new, they embark on a pursuit of knowledge, eager to discover the links between their own pasts and the stones that decimated half of humanity -- the Infinity Stones. Little do they know that a new foe who threatens to destroy them all is looming...."
While it's highly unlikely that this new book will have any serious spoilers for Avengers 4, it is interesting that it centers around Selvig as a new fan theory that cropped up on the MarvelStudios subreddit this week posits that Selvig is the key to defeating Thanos (Josh Brolin). According to Reddit user mushbert, Thor supporting star Erik Selvig (Stellan Skarsgard) holds to key to defeating Thanos. The theory starts off with attempting to prove all of Selvig's jumbled notes from his chalkboard in Thor: The Dark World. As the theory points out, Selvig has predicted several events in the Marvel Cinematic Universe coming true since his apparent mental breakdown, all of which can be read on the full Reddit post. The theory states that since Selvig was under the sway of the Mind Stone as it was still contained in Loki's Scepter, it gave the scientist all of the necessary information about the events that were about to unfold. This hints that Selvig knew about "The Snap " causing half of the universe to disappear, and although they aren't necessarily dead, they aren't really alive either creating a Schrodinger's cat scenario. It goes on to share that Selvig's notes from Thor: The Dark World can be deciphered into hinting at traveling across both space and time — thanks to the "Fractal Gateways Connecting Mutipal Branes" section of the chalkboard. As the theory points out, the verbiage relates to quantum mechanics, a plot point that carries a decent amount of clout in a post-Ant-Man and the Waspworld. Essentially the theory states that Selvig knows The Snap was going to happen and create a fault in which the multiverse crashes in on itself. Because of the unnatural occasion, the theory states that the larger-than-life Cosmic entities — think the Living Tribunal or Master Order and Lord Chaos — are the threats bigger than Thanos in Avengers 4. That lines up pretty well with the book's plot summary, interestingly enough. The theory then goes on to explain how, feeling guilty about murdering Gamora, Thanos will try another snap to reverse his horrific damage to the universe only to create an even larger rip in the space-time continuum -- on that could bring the arrival of the Fantastic Four and mutants. While the theory's accuracy is something that fans will have to wait until Avengers 4hits theaters next to find out, it's nice to be able to add two more survivors to the list. While there are still several MCU characters whose fates remain a mystery, Selvig and Darcy join Aunt May, Howard the Duck, and the survivors we saw on screen as those unharmed by Thanos' snap. Avengers 4 will arrive next summer to resolve the shocking cliffhanger ending of Avengers: Infinity War, wrapping up the story of Thanos and his bid to wipe out half the universe. It will also conclude Phase 3 of the Marvel Cinematic Universe, starting out a new status quo. Here are all the updates you need on 2019's epic Marvel film. Other heroes who died before the snap are also expected to appear in some form. Gamora (Zoe Saldana) is theorized to actually be trapped in the Soul Stone, while Vision (Paul Bettany) and Loki (Tom Hiddleston) have shows on the Disney+ streaming service (and the latter was seen in set photos.